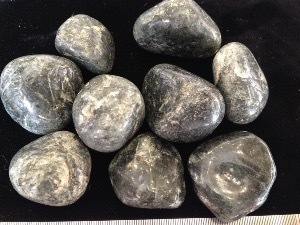 Black Tourmaline can appear in Quartz crystals as inclusions. It’s considered Tourmalinated Quartz will have the properties of Quartz, as well as that of the Tourmaline. Less colourful then other varieties of Tourmaline, Black Tourmaline is said to be one of the most popular stones for spiritual purposes. It has been used by some to help with those experiencing high levels of stress in their work or home lives. It has also be used and may help with obsessive or compulsive behaviour, along with may help letting go of chronic worry and anxiety. 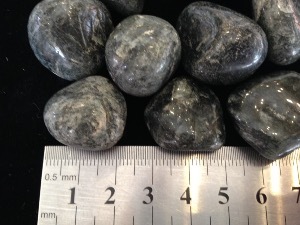 Tourmalinated Quartz tumbled to a smooth finish, an ideal pocket size stone, small enough to carry around with you. Tumble Stones can also be placed around the home for their energies or can just be nice decorative items.